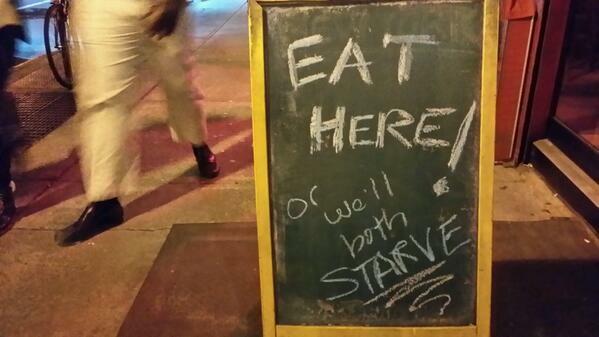 I love sidewalk signs! They are the purest from of marketing. Write a good one you can literally motivate customers to walk in you door. Where I live in Brooklyn I walk by many every day. Here are some quick marketing reviews of several I've passed recently. Do you know marketers who are so obsessed with the number of click throughs their digital campaigns recieve that they look at little else? In 60 seconds this hysterical TV ad about an encyclopedia publisher explains the perils of this approach. Funny!